Daryl Johnson (Worcester Park, United Kingdom) on 25 May 2009 in Architecture. 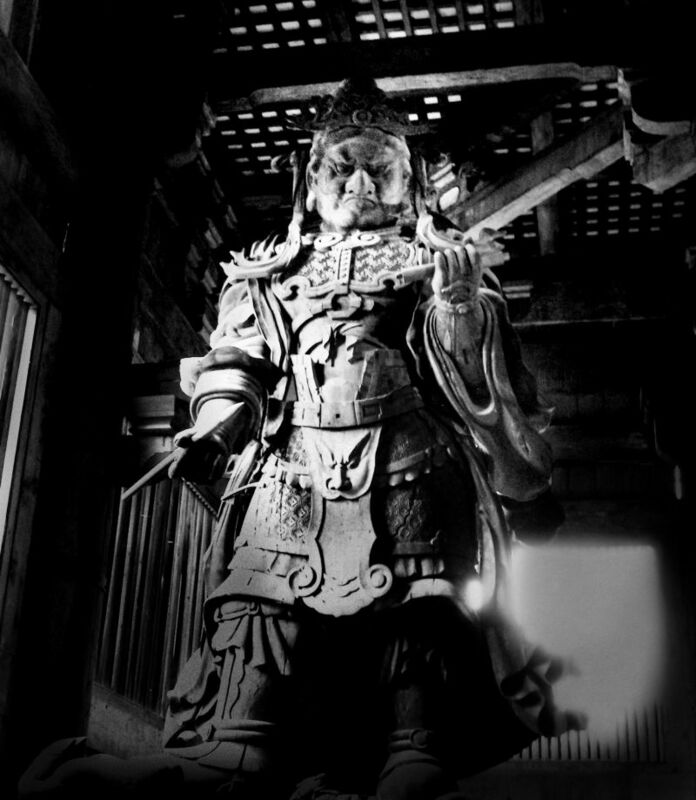 The god Koumokuten - a fearsome guardian statue at Todaiji temple, Nara. Impressive view! perfectly light directed towards the strengths of the statue! Great! @Mathilde Collot: Thank you Mathilde! He is well fierce, scary if you spend a night in that temple. I like that guy. A great capture. Does look fearsome indeed! Well done! Beautiful in BW. Good job. Fearsome indeed! the light is exceptional here! impressive!! love the way the light falls here -- beautiful!